I've long felt that men designed most of the purses around (I apologize to those ladies who make the fancy handbags with their names on them) as I don't ever think I've found one that I truly like. And believe me, it wasn't for not trying. Always thought that one of these days I'd design my own. Well, finally, someone has done that for me, and done a really outstanding job - it's Lazy Girl Designs. And, actually, I owe my friend Suzie at Ask The Ebay Queen for finding Lazy Girls. She posted a picture of a small purse on her blog one day and while I wasn't crazy about that particular purse, I looked up Lazy Girl and was immediately hooked. 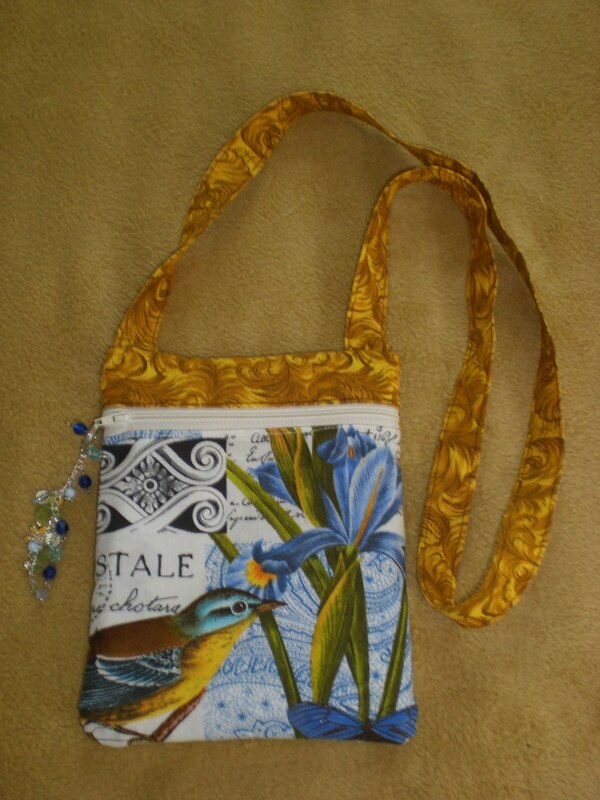 She has multiple patterns for a large variety of large and small purses. There's the Chelsea, the Chloe, the Claire, the Miranda, the.... well, you get the idea. There's also lots of little accessories, like the Wonder Wallet (which I LOVE), the checkbook cover and the Maggie, and more. My first pattern was the Margo - I ABSOLUTELY LOVE MY MARGO!!! The Margo is just the right size, has two outside pockets, zips closed and has a multitude of interior pockets. Very well organized!! I used three contrasting fabrics with my favorite colors, though it could be made all one solid color. So, then I decided I'd try the Wonder Wallet. Never found a wallet I really liked either. This one was really easy to make, is small, but holds a lot. As you can see, I made one to match my Margo. 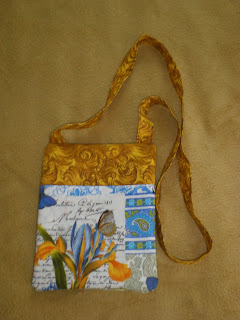 I've added another Lazy Girl pattern of a smaller purse for shopping, but haven't made it yet. For normal everyday use though, I'll stick with the Margo. I've already bought fabric to make several more. Do you want to save money? Do you shop with coupons? I've never been very diligent doing it, and if you do it right, it does take time. However, a young woman in my church has it down to a science - she she's teaching classes on it. Here's her blog - she posts daily on ways to save money. From groceries to toiletries to furkid food to.... she even manages to get a log of things FREE, or at a ridiculously low price. And, even if you don't embrace this concept to the extent she does, we can all use a little extra jingle in our pockets these days. And of course she's on facebook too.